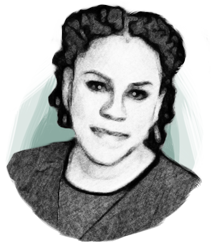 Ms. Roach is co-founder and CEO of Breakthrough Marketing Technology, LLC a strategic marketing consultancy that’s committed more than 15 years to the value creation process- including defining new products the market will pay for. Breakthrough determines how to take advantage of where value is. Pam’s desired client outcome is organizational transformation that delivers a new strategic capability to meet profitable market demand. Ms. Roach earned a bachelor’s degree in philosophy from Harvard University and MBA from Columbia Business School.